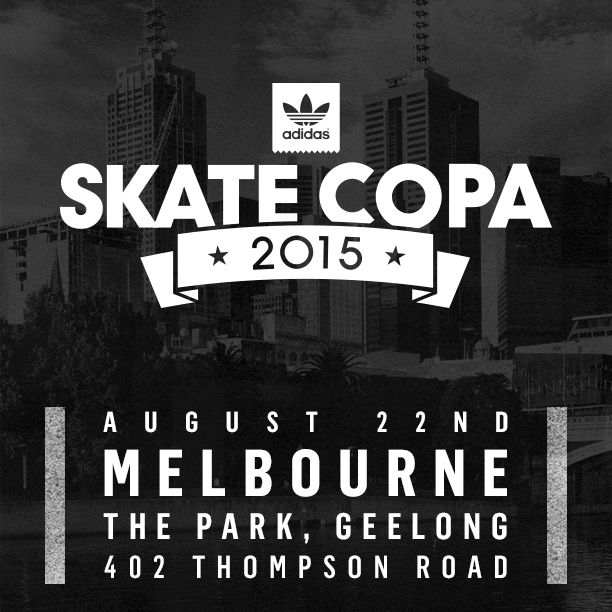 After the success of last year’s first ever Skate Copa in America, the team at adidas Skateboarding have opened the competition up to our very own skate shop teams down under. Featuring skaters from Beyond (WA), Fast Times (VIC), Geelong Skateshop (VIC), Momentum (WA), Lodown (NSW), Skatebiz (QLD), Street Machine (VIC) and U.P.S (NSW), the teams will hit The Park in Geelong to see who really is the best of the best. 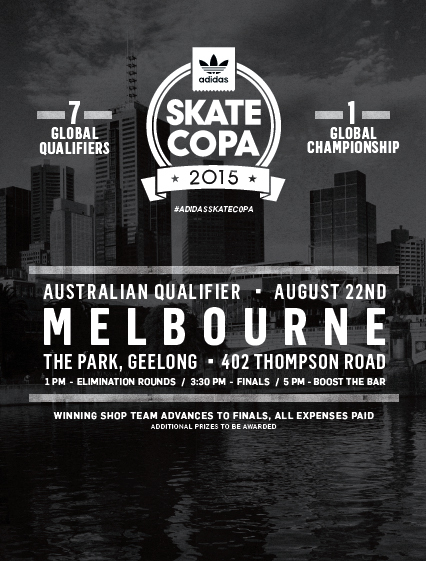 The winning team will then be flown to LA to compete against the world’s best shop teams, vying for the ultimate title of Skate Copa Global Champions. The comp will also celebrate the latest addition to the adidas Skate footwear fam, the Dorado Boost.